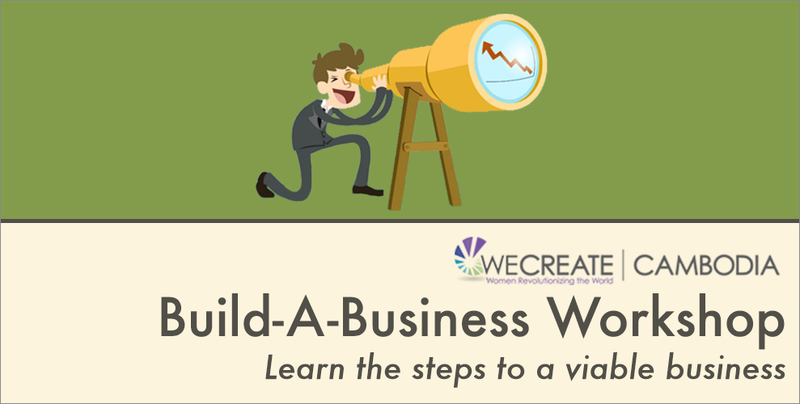 Calling out to all new and aspiring entrepreneurs, the Build-A-Business workshop is back! A program by WECREATE CAMBODIA, they are an organization serving as an entrepreneurial community center for women who are interested in starting or expand their current business. Not only do they provide services such as specialized training, business connections and mentoring, they have also helped to accelerate businesses with the necessary technical tools and resources. The upcoming workshop will be held on the 9th of January, this coming Saturday, and will be free for all attendees. Commencing at 8am, you can expect to spend the next 3 and a half hours entering into the expert world of business models and marketing strategies. This program mainly focuses on the idea of bringing together mentors to facilitate entrepreneurs, leading them through the various steps on how to build a viable business. This allows attendees to learn first hand from these professionals, benefitting from a more hands-on experience and grasping the ropes on becoming a successful entrepreneur. Not only will you get the chance to connect and mingle with like-minded entrepreneurs within the community, you will also get to learn the different aspects of a business. Ranging from business model design through visual thinking to learning to utilize go-to market strategies in order to create revenue, the program will be covering a spectrum of topics that can help you in your business growth. You can look forward to clarifying your doubts with the mentors on topics such as how you can create value for your business and how to reach and attract your target customers. As many businesses are focused on revenue creation, the program will also identify solutions that can potentially help to accelerate its growth. Through the build-a-business workshop, you can look forward to being inspired as well as gaining the necessary tools to becoming a better business entrepreneur. What are waiting for? Register your attendance here! Conducted and held at WECREATE CAMBODIA, you can find out more information at their Facebook Page here or contact them at 012 370 214.